Hello My Friends! 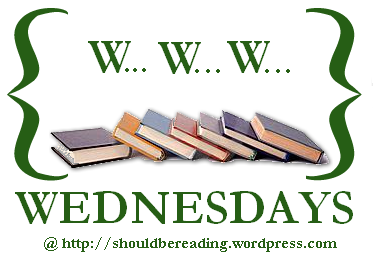 Of all the books being released this week – here is what I think are the most awesome. The awesomest. Anyway, I recommend the following books. Enjoy! Horton and the Kwuggerbug and more Lost Stories by Dr. Seuss & Charles D. Cohen Available September 9, 2014 $9.49. A new Dr. Seuss book! This follow-up to The Bippolo Seed and Other Lost Stories features familiar Seussian faces and places—including Horton the Elephant, Marco, Mulberry Street, and a Grinch—as well as an introduction by renowned Seuss scholar Charles D. Cohen. Seuss fans will learn more about Horton’s integrity, Marco’s amazing imagination, a narrowly avoided disaster on Mullbery Street, and a devious Grinch. With a color palette enhanced beyond that of the magazines in which the stories originally appeared, this new volume of “lost” tales is a perfect gift for young readers and a must-have for Seuss collectors of all ages! Horton the Elephant, Marco, and a Grinch return in this rousing recovery of four long-lost stories by the immortal Dr. Seuss! Most of these entertaining tales appeared in Redbook magazine in the early fifties, but none have not been published since. Respected Seuss scholar Charles D. Cohen offers context to these rediscovered manuscript treasures in a buoyant introduction, making this picture book a gem for readers from four to eight to eighty and beyond. If you love Dr. Seuss (and who doesn’t?) why not get The Bippolo Seed and Other Lost Stories (Classic Seuss) and a marvelous book from 1973 Did I Ever Tell You How Lucky You Are? (Classic Seuss) . Holly Black and Cassandra Clare TOGETHER with a new series.The Iron Trial (Book One of Magisterium) (The Magisterium) The two bestselling series authors: Holly Black (The Spiderwick Chronicles) and Cassandra Clare (The Mortal Instruments Trilogy) create a wonderful story about Callum Hunt, a boy who really, really, really doesn’t want to go to magic school, but somehow can’t succeed at failing. For the millions of Americans who want spirituality without religion, Sam Harris’s new book is a guide to meditation as a rational spiritual practice informed by neuroscience and psychology. From multiple New York Times bestselling author, neuroscientist, and “new atheist” Sam Harris, Waking Up is for the 30 percent of Americans who follow no religion, but who suspect that Jesus, Buddha, Lao Tzu, Rumi, and the other saints and sages of history could not have all been epileptics, schizophrenics, or frauds. Throughout the book, Harris argues that there are important truths to be found in the experiences of such contemplatives—and, therefore, that there is more to understanding reality than science and secular culture generally allow. Waking Up is part seeker’s memoir and part exploration of the scientific underpinnings of spirituality. No other book marries contemplative wisdom and modern science in this way, and no author other than Sam Harris—a scientist, philosopher, and famous skeptic—could write it. Pre-Order Books Available 2/10/14 & some 2/3/14 Awesome Books. Okay, I am behind and should have listed Pre-Order available 2/3 earlier. So I will list a few books I recommend coming out in 3 days before I give you the great books coming 2/10/14. Here are 2 must reads! Seriously, I can’t say tell you how much I want you to read these books. One More Thing: Stories and Other Stories and Prince of Shadows: A Novel of Romeo and Juliet . Must Reads, Must Buy! One More Thing: Stories and Other Stories by B.J. Novak. Available February 4, 2014. One More Thing: Stories and Other Stories is an endlessly entertaining, surprisingly sensitive, and startlingly original debut that signals the arrival of a brilliant new voice in American fiction. A boy wins a $100,000 prize in a box of Frosted Flakes—only to discover that claiming the winnings might unravel his family. A woman sets out to seduce motivational speaker Tony Robbins—turning for help to the famed motivator himself. A new arrival in Heaven, overwhelmed with options, procrastinates over a long-ago promise to visit his grandmother. We meet Sophia, the first artificially intelligent being capable of love, who falls for a man who might not be ready for it himself; a vengeance-minded hare, obsessed with scoring a rematch against the tortoise who ruined his life; and post-college friends who try to figure out how to host an intervention in the era of Facebook. Along the way, we learn why wearing a red T-shirt every day is the key to finding love, how February got its name, and why the stock market is sometimes just down. Prince of Shadows: A Novel of Romeo and Juliet by Rachel Caine. Available February 4, 2014. Benvolio Montague, cousin to Romeo, knows all this. He expects to die for his cousin, for his house, but a spark of rebellion still lives inside him. At night, he is the Prince of Shadows, the greatest thief in Verona—and he risks all as he steals from House Capulet. In doing so, he sets eyes on convent-bound Rosaline, and a terrible curse begins that will claim the lives of many in Verona and will rewrite all their fates, forever. Everyone needs to heal their heart. You Can Heal Your Heart: Finding Peace After a Breakup, Divorce, or Death by Louise L. Hay and David Kessler. Available February 4, 2014. In You Can Heal Your Heart, self-help luminary Louise Hay and renowned grief and loss expert David Kessler, the protégé of Elisabeth Kübler-Ross, have come together to start a conversation on healing grief. This remarkable book discusses the emotions that occur when a relationship leaves you brokenhearted, a marriage ends in divorce, or a loved one dies. It will also foster awareness and compassion, providing you with the courage to face many other types of losses and challenges, such as saying good-bye to a beloved pet, losing your job, coming to terms with a life-threatening illness or disease, and much more. With a perfect blend of Louise’s teachings and affirmations on personal growth and transformation and David’s many years of working with those in grief, this empowering book will inspire an extraordinary new way of thinking, bringing hope and fresh insights into your life and even your current and future relationships. You will not only learn how to help heal your grief, but you will also discover that, yes, you can heal your heart. And now Pre-order new releases available the week of February 10, 2014. And do LOVE Jennifer McMahon. The Winter People: A Novel by Jennifer McMahon. Available February 11, 2014. The bestselling author of Promise Not to Tell and Don’t Breathe a Word returns with a simmering literary thriller about ghostly secrets, dark choices, and the unbreakable bond between mothers and daughters – sometimes too unbreakable. The Good Luck of Right Now by Matthew Quick. Available February 11, 2014. The author of The Silver Linings Playbook: A Novel , comes The Good Luck of Right Now . Now, a funny and tender story about family, friendship, grief, acceptance, and Richard Gere—an entertaining and inspiring tale that will leave you pondering the rhythms of the universe and marveling at the power of kindness and love. Stink and the Shark Sleepover (Book #9) by Megan McDonald and illustrator Peter Reynolds. Available February 11, 2014. After I’m Gone: A Novel by Laura Lippman. Available February 11, 2014.
and What the Dead Know , returns with an addictive story that explores how one man’s disappearance echoes through the lives of the wife, mistress, and daughters he left behind. Though Bambi has no idea where her husband—or his money—might be, she suspects one woman does: his mistress, Julie. When Julie disappears ten years to the day that Felix went on the lam, everyone assumes she’s left to join her old lover—until her remains are eventually found.Now, twenty-six years after Julie went missing, Roberto “Sandy” Sanchez, a retired Baltimore detective working cold cases for some extra cash, is investigating her murder. What he discovers is a tangled web stretching over three decades that connects five intriguing women. And at the center is the missing man Felix Brewer. For my friends of Faith, I haven’t read these books yet but they are on my wish list. HarperCollins Christian Publishing and Sheila Walsh have released a new book and study guide. Available February 11, 2014. Edward Adrift by Craig Lancaster. Endearing and laugh-out-loud funny, Edward Adrift is author Craig Lancaster’s sequel to 600 Hours of Edward. The Wisdom of No Escape: And the Path of Loving-Kindness by Pema Chodron. Almost finished! Reading Next: 2 Books for Reviews. The Morac by Colleen M. Bratley. Four friends just out of high school are on a weekend getaway when the power goes out. At least that’s all they thought it was. But returning home they don’t see any cars, lights or people. Not one soul. Searching for answers to what exactly happened, reveals information leading them to an event that they wouldn’t have thought of even in their wildest dreams. It’s a realization so impossible, their nightmares dim in comparison. Now they just have to figure out what to do next; not just to control their destiny, but how to survive it. The Starlight Chronicles: Slumbering by C.S. Johnson. Sixteen-year-old Hamilton Dinger is an above-average teenager. He’s got the grades for the top of the class, the abilities of a star athlete and Tetris player, and the charisma to get away with anything. Everything seems to be going along perfectly as he enters into tenth grade at Apollo Central High School. Everything, that is, until a meteor crashes into the city, unleashing a whirlwind of evil and awakening a deep, hidden power as the long battle between good and evil continues. Bringing an abrupt halt to the easygoing pace of Hamilton’s life, he and his longtime dormant supernatural powers are caught up in the middle of things when his comfort zone is turned into a war zone. On top of everything else, there’s the homecoming game, the school play, and the history test to worry about. Can Hamilton overcome his ignorance and narrow-mindedness to see what is truly real? Can he give up his self-proclaimed entitlement to happiness in order to follow the call of a duty he doesn’t want? More importantly, will he willingly sacrifice all he has to find out the truth? The Captain’s Last Year, Fighting the Fire and Cancer: One Year to Live by Blaize Nolynne. How about a freebie from the U.K.? Language in the Blood by Angela Lockwood. 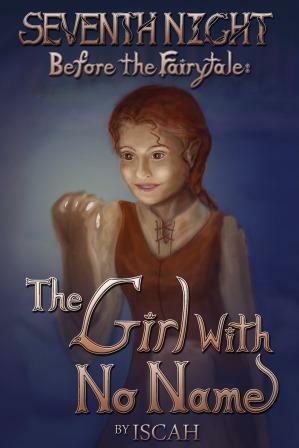 Free on Kindle 9/20-24/2013. Cameron Blair would have liked nothing better than to stay in Edinburgh and marry his childhood sweetheart. As the call to arms goes out, Cameron and his pals sign up to fight for their country. They are soon delivered into the nightmare of war, and there Cameron more than meets his maker. Waking Up Married by Mira Lyn Kelly. Kindle FREE! From USA TODAY bestselling author Mira Lyn Kelly comes WAKING UP MARRIED, a free book in Harlequin’s brand-new contemporary romance collection—Harlequin KISS. 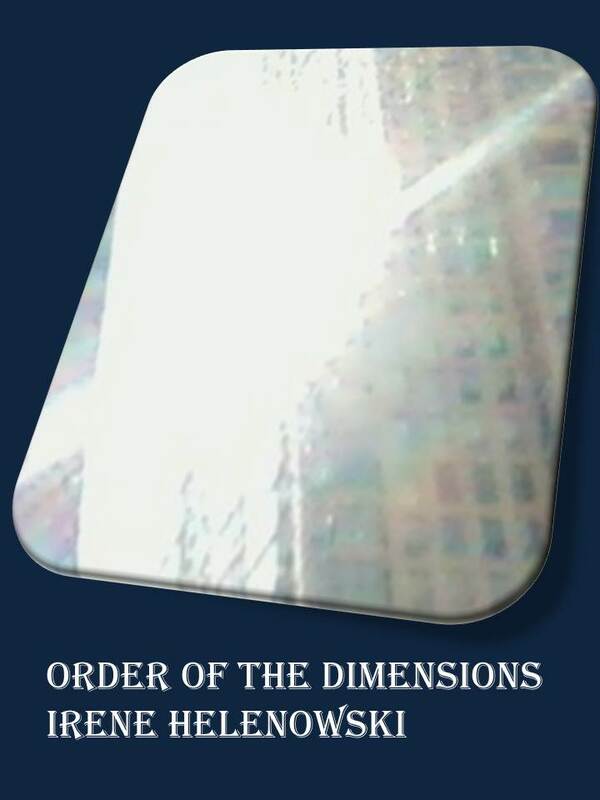 Irene Helenowski is giving FREE copy of her book, Order of The Dimensions. Follow this link box.net link . Through October 31, 2013. Irene will also donate $1 from each download to the Susan G. Komen foundation.